In Vedic India there were two quite distinct beliefs as to death and the soul’s future destiny; the one belief belonging to the Vedic Hymns, and the other to the Upanishads, and especially to Rajput sages like King Pravahana, son of Jibala, with whom it was a secret traditional teaching. The belief of the Hymns, which we may call the belief of the Brahmans, was intimately bound up with the ritual that evolved the Yajur and Sama Vedas out of the materials of the Rig Veda. For, according to this belief, a man’s hopes of heaven depended above all things on his fulfillment of the ritual, “the works of the law,” as Paul would call it; and his stay there depended on the fulfillment of the same ritual by his sons and his son’s sons, in unbroken line. Failing issue, or failing the clue performance of ritual by his descendants, a man was, as Jaratkâru’s Fathers said, pitifully suspended over the pit of hell, and the great rat, Time, would duly gnaw through his last support, letting him fall head-downwards into the pit. So that the ritual, Brahmanical belief, which springs from the Vedic Hymns is the orthodox official belief of India today, the belief which underlies the rights of property and inheritance. The other belief, quite irreconcilable with this, is the spiritual belief of the Upanishads, with its doctrine of an eternal self, immortal through its own inherent nature, and therefore requiring no nutriment of cakes and water to secure it in heavenly bliss; this self being perfected in self knowledge through a chain of births; or, as we might say, the doctrine of reincarnation and Nirvana. 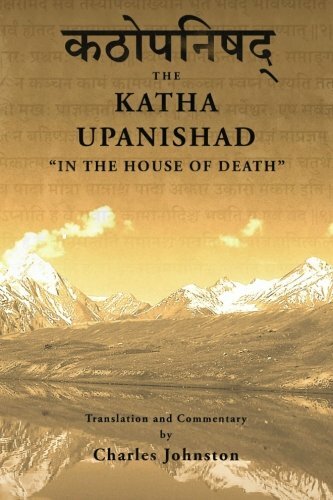 This spiritual teaching, according to the clear language of the Upanishads, is the hereditary doctrine of the Rajputs, the warrior Kshattriyas, as opposed to the Brahmanical priests with their belief in the efficacy of ritual. Having regard to what I have written before in these columns and elsewhere, I may say that it is practically certain that the spiritual belief in reincarnation and Nirvana is the traditional religion of the red Rajputs, while the ritual belief embodies in the offerings to the manes is the religion of the white race that forms the nucleus of the Brahmans, from whom it has gradually spread over the whole Hindu community. This teaching was reasserted for the last time by the Rajput Buddha; before him, it had been urged with vehement eloquence by another great Kshattriya, esteemed, as Buddha was, a divine incarnation. The tradition of this pre-Buddhistic revival is contained in the “Songs of the Master,” the famous “Bhagavad Gita.” The ritual belief seems to have gained the ascendancy, in spite of the denunciations of the Upanishads; and in the Bhagavad Gita, this ritual belief is represented by Arjuna the Pandu Prince. “In the destruction of family, the immemorial family rites perish; when the rites perish, the whole family becomes riteless. When they become riteless, Krishna, the women of the family, go astray; when the women go astray, a mingling of colour is born. This mingling brings to hell the family and the slayers of the family; their fathers fall, deprived of the offerings of cake and water. Through the sins of those who slay families, thus causing a mingling of colour, the perpetual caste rites and birth rites are lost. The ideas to be noted in this creed of Arjuna are that “when the family rites perish, the fathers fall, deprived of the offerings of cake and water;” and that this leads to “a protracted dwelling in hell” exactly the belief so vividly set forward in the story of Jaratkâru, exactly the belief of the Rig Veda Hymns. What does the divine Avatara say to this belief? “Krishna answered him, smiling as it were, descendant of Bharata; speaking this word to him, desponding there between the two armies. [The Master speaks:] “Thou grievest for things not worthy of grief, and speakest words of wisdom! The wise grieve neither for the dead nor for the living. For verily there was no time when I was not, when thou and these Princes were not; nor will there ever be a time when all of us shall cease to be. As the lord of the body in this body meets boyhood, youth and age, in like manner he obtains another body; the wise man is not mistaken about this. Here, to make the matter quite certain, we have the teaching of the self and of rebirth crowned by a quotation from the Upanishads; and nearly the whole of this second chapter has its origin in the same source. “This eternal teaching of union with the self I declared to the Sun [the head of the Solar race of Rajputs], the sun declared it to Manu [the Kshattriya, as all Indian tradition calls him]; Manu declared it to Ikshvaku [the first King of the Solar line, from whom Buddha traced his descent]. Thus handed down in sequence the Rajanya [or Rajput] sages came to know it; but in the long course of time this teaching was lost. There is a quite remarkable likeness between this answer and the answer of another teacher to a like question: “Before Abrahatn was, I am.” One cannot say for certain whether this answer implies the same idea of re-birth that Krishna teaches, but one may say that it looks at least very probable. But this subject is too large to enter on now.